4-Headed A/V Input Adapter for ATI All-in-Wonder cards. Use this adapter with your ATI All-in-Wonder card that has an "A/V In" 8-pin female jack. ATI Reference Part Number 6110004900. 1. One 4pin MiniDin-Female S-Video connector. 2. 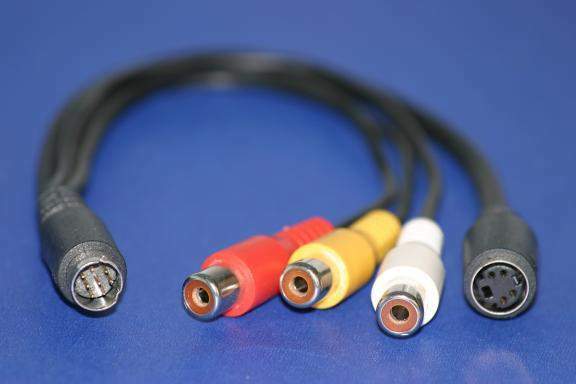 One RCA-Female Composite video connector. 3. One RCA-Female Left Audio connector for Left Audio signal. 4. One RCA-Female Right Audio connector for Right Audio signal.